In a wide ranging programme, all of the groups performing tonight are making their Mopomoso début including Italian improv duo Utter Chaos with Andrea Caputo (guitar) and Massimo Semprini (sax); pianist Stephen Grew playing an unusual solo show aside from his regular 4-piece band Grutronic; Norwegian improv duo KTHXBYE with Stian Larsen (guitar) and Brage Tomaenen (drums); and finally Nick Malcolm (trumpet), Hannah Marshall (cello) and Lauren Kinsella (voice) – three fine musicians with backgrounds across a variety of styles and genres, here bringing it all to bear in a freely improvised context. Danish saxophonist and composer Lotte Anker is known for her intense playing and as one of the strongest improvisers in the freeform and improv field in Denmark. Mark Sanders has been acclaimed as “the most exciting, original and overwhelmingly powerful drummer alive” (Steve Reynolds, Jazz Corner). Adam Pultz Melbye has improvised double bass solo concerts with Peter Brötzmann, Rudi Mahall, Henrik Walsdorff and many more artists. As part of a Match & Fuse tour, composer and pianist Alexander Hawkins will be sharing the bill with the Norwegian group Wolfram Trio. Hawkins’ highly distinctive soundworld is forged through the search to reconcile both his love of free improvisation and profound fascination with composition and structure, whilst Wolfram Trio seek inspiration in acoustic free jazz, as well as modern contemporary improvised music. Continuing our monthly residency with saxophonist Evan Parker, tonight Evan will be joined by Pat Thomas and Orphy Robinson for the ad hoc Black Top series which is dedicated to exploring the intersection of live improv and the technology of dub, reggae and other worldly noises – using improvisation to explore these black influences but not necessarily from an African American perspective. Together for 25 years this Australian cult trio have enthralled audiences worldwide with their compelling style of improvisation. Not entirely avant-garde, nor minimalist, nor ambient, nor jazz, their music is regularly described internationally as, simply, unique. 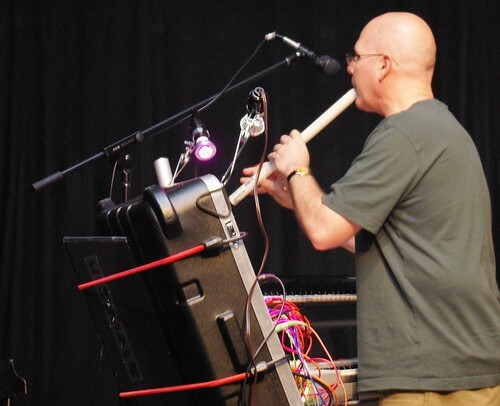 Every Necks performance is a singular event, entirely improvised and working with the acoustics of the room. Featuring lengthy pieces of long-form improvisation which build in a mesmerising, epic fashion frequently underpinned by an insistent deep groove, their performances are never less than phenomenal. Interesting premise from Sound American – ask thirty musicians to define jazz. Darcy James Argue, Ab Baars, Tim Berne, Kyle Bruckmann and Fred Frith, John Butcher, Roy Campbell, Jr., Gerald Cleaver, and many other answered. If you’ve been involved in the sub-sub-sub-sub-sub-subculture that is Jazz music, you know already that the road taken within this issue is both well traveled and perilous. If there are politics in music, and we all know that there are, then the debate about what is or isn’t really Jazz, could easily be held up as a prime example of the divisive and damaging social dynamic that can come about by trying to put a name or label on something as ambiguous as a musical tradition. ELEC3CITIES, the new album by Italian piano trio CHAT NOIR (Michele Cavallari on piano, multiple keyboards, analog synthesizers and effects, Luca Fogagnolo on electric bass, upright bass, guitars and effects and Giuliano Ferrari on drums and effects). By organically blending elements of Electronica, both Ambient and Concrete Music with structures arising out of chamber music and jazz, this group has come up with a wholly unique sound on Elec3Cities that may establish a daring new direction for the format. Here’s one for the folks who keep asking me whether I’ll release an album on vinyl. Four discs of music from my formative years, most of it never before released. It also contains the strongest sections of the 1984 “Live” cassette, and the cyclic introduction from the original “Inner Landscapes.” I made new 24/96 digital transfers from original master tapes. It’s coming out in Germany on the label Vinyl On Demand (VOD122), and I’ll import 40 copies for listeners here in the USA. It seemed almost unbelievable when it was announced – that John Zorn was coming to Australia for the first (and probably only) time to perform with a mind-blowing collection of musicians from the US for a four-night series celebrating his music and career. Yet there they were on Tuesday for a marathon concert: Zorn and more than 20 of New York’s finest improvising artists, all gathered together in one room in Adelaide. 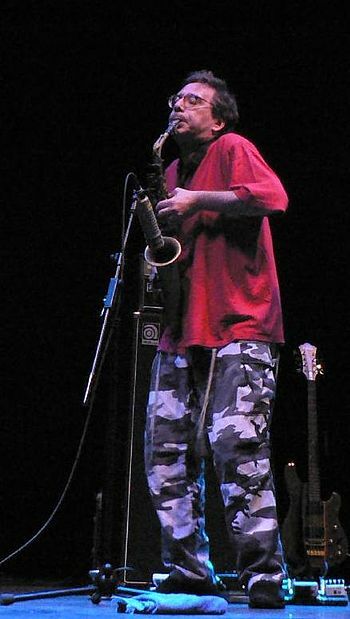 John Zorn has never been to Australia before and, according to Adelaide festival director David Sefton, he’s never coming back again, so these concerts mark the rarest of opportunities for Australian audiences to see the 60-year-old avant garde legend in the flesh. Tuesday saw the first of four concerts designed as a retrospective of Zorn’s long and eclectic career, the whole of which will involve some 40 musicians including Mike Patton, and Dave Lombardo, formerly of Slayer, plus the Adelaide Symphony orchestra.